Jim Cornell, FREng; FICE, FCILT, FCMI, FPWI, spent more than fifty years working in the railway industry until his retirement in January 2010. He first joined British Railways as a civil engineering student apprentice in 1959 and undertook a series of management tasks including Divisional Civil Engineer at both Kings Cross and Newcastle and Regional Civil Engineer for Scotland. He was appointed Deputy General Manager of ScotRail in 1984 and became General Manager there in 1986. The following year he was appointed Director of Civil Engineering for British Rail, a post he held until becoming Managing Director of Regional Railways in 1992. Subsequently, he played a significant part in the privatisation process, as Group Managing Director of British Rail Infrastructure Services from 1993 to 1996. After the completion of the privatisation process in 1996 he was appointed Executive Director of the Railway Heritage Trust, which position he held until his retirement. During the period from 1996 to 2010 Jim’s other roles included being a member of the Railway Heritage Committee, a Director of Railway Paths Ltd, and a Non-Executive Director of firstly Railtrack PLC, and subsequently Network Rail. After his retirement in 2010 Jim became a member the Trust’s Advisory Panel, rejoining its Board as Deputy Chairman in 2016. Jim covered the role of Chairman during Sir William’s period of illness, and the Board elected him as Chairman following Sir William McAlpine’s passing. Andy Savage is the Executive Director of the Trust, which he joined at the start of 2010. Prior to that he was Deputy Chief Inspector of the Rail Accident Investigation Branch of the Department for Transport, following a long career in railway civil engineering and, more recently, contractor safety. Andy has a long involvement in railway heritage, and in the building aspects of it, with a particular involvement in the Ffestiniog and Welsh Highland Railways. Andy is a Fellow of the Institution of Civil Engineers, the Chartered Institute of Logistics and Transport, the Institution of Railway Operators and the Permanent Way Institution (of which he was President from 2006 to 2008). He is also a Chartered Member of the Institute of Occupational Safety and Health. CBE, Hon FRIBA, FSA Marcus Binney studied the history of art and architecture at Cambridge University and joined the staff at Country Life as architectural writer in 1968. In 1974 he was co-organiser of the exhibition “The Destruction of the Country House” at the Victoria & Albert Museum in London, becoming Chairman of the newly founded SAVE Britain’s Heritage in 1975, which organised the exhibition “Off the Rails: Saving Railway Architecture” at the RIBA Heinz Gallery in 1977. He has set up trusts which saved Isambard Kingdom Brunel’s original but badly decayed 1840 railway terminus at Bristol Temple Meads, All Souls Haley Hill in Halifax, and Barlaston Hall in Staffordshire. He was a member of the British Rail Environment Panel and was appointed a Director of the Railway Heritage Trust in 1984. Since 1991 he has been Architecture Correspondent of the London Times. His publications include “Railway Architecture: The Way Ahead” (1995) and a contribution to “Great Stations of Europe”(1984). He was awarded the OBE in 1983 and the CBE in 2006 for services to the built environment. Claire Pickton is PA to the Executive Director of the Railway Heritage Trust and is also responsible for the general administration of the business and the day to day running of its office. She is therefore often the first point of contact people have with the company. Claire also deals with financial matters, maintaining an up to date overview of the Trust’s budget and its programme of grants and offers, and assists with the production of the Annual Report. After studying architecture, Paul Childs worked in private practice before joining British Rail’s Southern Region Architects’ department. Seven years later, with a growing interest in architectural photography, Paul subsequently launched a new business, photographing railway projects for British Rail’s various sectors and businesses, including what became the Department of Architecture and Design. Following British Rail’s privatisation, an association with Tapestry photographic laboratory in London’s Soho led to wider opportunities in multi-media technology and the position of Managing Director of Tapestry New Media. In 2003, after investing in an advanced digital scanning camera, Paul established Spheroview, a company specialising in 360 degree and conventional photography of architecture and environments, leading to extensive travel in Europe, the USA, Iceland and South Africa. Paul’s interest in railway architecture has been ongoing; he has contributed photographs to many publications, including documenting the reconstruction of both Liverpool Street and St Pancras International stations. He has also documented many railway buildings for Network Rail and several Train Operating Companies, and since 2010 has photographed Railway Heritage Trust projects for the Trust’s annual report and photographic archive. Paul is an Associate Member of the RIBA. Advisory Panel Member since 2018. Paul Atterbury trained as an art historian at the University of East Anglia, having previously qualified as a graphic designer. He has worked extensively in all aspects of publishing, has curated exhibitions at the Victoria & Albert Museum and other institutions in Britain and abroad and has, since 1981, been a self- employed writer, lecturer and broadcaster, specialising in the art and design of the 19th and 20th centuries. A lifelong railway enthusiast, he has explored the social history of the railway and its impact upon culture and landscape, as well as its architecture and structural heritage. He has written over twenty books about railways, along with others about canals, travel and various aspects of art and antiques. He has been involved with various railway and maritime heritage trusts and is a judge for the National Railway Heritage Awards. While deeply attached to the history and heritage of the railways, he is also a keen student of modern railways, believing that the train has a vital, and expanding importance in modern transport systems. Paul’s other, non-railway interests, include the First World War. Advisory Panel Member since 1985. Educated at City of London School, then Hanners Scholar, St Chad’s College, Durham University. Current responsibilities include Consultant Archivist and Historian to the Port of London Authority since 1998; Research Associate, New Dictionary of National Biography, OUP, from 1994; also similar work for The Dictionary of Civil Engineers, ICE, from 2002; Editor and Hon Secretary, Motorway Archive Trust since 1999; trustee and Director, Pets as Therapy since 2003. Previous responsibilities include Assistant to the Archivist, Harrowby Manuscripts Trust 1976; Executive Officer, British Nuclear Fuels Ltd 1977-8; Administrative Assistant, Museum of London and later Research Officer, Docklands 1980-86; Curator of Hydrography, National Maritime Museum and later Head of Navigational Sciences 1986-92; Research Associate ARTAF (UK) 1993-99. Also activity in the governance of the Hakluyt Society, Nautical Museums Trust and the Docklands History Group. His work has led to over 40 publications (plus TV programmes) on subjects including navigation, cartography, expeditions of discovery and the history of the British motorway system. Retired surveyor; Fellow of the Royal Society of Arts; founder member and Vice-President, Railway & Canal Historical Society; Vice-President, Inland Waterways Association, North West Region; Chairman, Northern Viaduct Trust; member, Newcomen Society; one time member of English Heritage Industrial Archaeology Sub-Committee; author of numerous articles and eleven books on the history of inland waterways and railways, the latter with particular emphasis on structures and architectural features, including “Britain’s Historic Railway Buildings: An Oxford Gazetteer of Structures and Sites; co-editor with Jack Simmons, “The Oxford Companion to British Railway History”. MA, DPA, FRSA A graduate of Glasgow University, John Boyle joined the railway industry in 1983 (as Director of Public Affairs, Scottish Region) from the Scottish Council (Development and Industry) where he had been Director, External Relations since 1973. He had previously been Scotland’s first university PRO (at Heriot-Watt University) from 1966 and had earlier worked in teaching, journalism, industry and local government. He played a central role in achieving a step change improvement in the railway’s external relations with the media and with central and local government in Scotland, most importantly with Scotland’s biggest passenger transport authority, Strathclyde Regional Council. This was vital in transforming that relationship to secure the necessary political support for the 1983 Strathclyde Rail Review which saved this important passenger railway network – the biggest outside London. He was also centrally involved in the launch and subsequent promotion of “ScotRail” as the brand identity of British Railways Board in Scotland and of the shadow franchise of that name. He was thus the organiser of events to mark the transfer of the last passenger franchise in British Rail to be privatised. John Boyle played a key role in securing the external funding which enabled the reopening of the Edinburgh-Bathgate passenger railway and supported the well- publicised programme of railway station openings and line or service improvements in Scotland. John also promoted the railway in Scotland through a succession of public events, most notably the celebrations to mark the Centenary of the Tay Bridge and of the Forth Bridge. On privatisation John was appointed Director of Corporate Affairs for the new private company, ScotRail Railways Ltd, a position he held until his retirement in 2002. John is currently a non executive Member of the Strathclyde Partnership for Transport. OBE Richard Broyd started and ran a professional recruitment agency, now called HAYS, from 1968-87. Since 1980 he has been involved as a conservationist with the built heritage, through Historic House Hotels (now part of the National Trust), and other projects involving houses, gardens, landscapes, and railways. He believes in ‘status quo ante’, and making the past work for, and benefit, the present and the future. He is a trustee of the War Memorials Trust, and has received the Prince of Wales Medal for Arts Philanthropy. Born in Bristol, England, Tim studied geography at the University of Wales Aberystwyth before working briefly as a Librarian and has worked in museums for more than 25 years, beginning his career at the Great Western Railway Museum in Swindon in 1983 before leading the curatorial team that created the award-winning STEAM: Museum of the GWR in 2000. From 2000 he was Collections Manager and then General Manager at STEAM before being appointed as Head of Collections and Interpretation at the Heritage Motor Centre, Gaydon in 2004. The author of eight books including a biography of the engineer Brunel published in 1999, Tim has also written numerous articles and reviews on heritage and railway subjects. He is Secretary of the Association of British Transport & Engineering Museums and Co-Chair of the UK Inland Transport Subject Specialist Network and a Council member of the Association of Independent Museums. Industrial designer, aviation and railway artist. Born Glasgow 1939; educated at High School of Glasgow and Glasgow School of Art. Industrial designer, free lance practice from 1961; Senior Lecturer in charge of Industrial Design, Glasgow School of Art 1971; Head of School of Design, Glasgow School of Art 1982; Director/Principal, Glasgow School of Art 1991-99. Currently Visiting Professor, University of Glasgow (Department of Aerospace Engineering); Visiting Professor, University of Strathclyde (Department of Design, Manufacturing and Engineering Management); Chairman, Prestwick Airport Consultative Committee; Hon Patron, Universities of Glasgow and Strathclyde Air Squadron; Hon Patron, House for an Art Lover, Glasgow; sometime Public Member, Network Rail. Recent publications (with others): “A Sense of Place” (Glasgow Airport at the Millennium); “From Pilcher to the Planets”(Scottish/Glaswegian contributions to aviation); “Drawn to Scottish Steam”; “Glasgow Central Central to Glasgow”. Companion of the Royal Aeronautical Society 1996; Lord Provost of Glasgow’s Gold Medal for Education 1998; OBE 2000; DSc (Hon) Strathclyde 2002. BA DipArch DipCons AA RIBA Jamie is a Chartered Architect with a postgraduate diploma in building conservation. He is a partner with the firm Purcell UK where his specialist expertise lies in taking conservation projects with initial potential and creating viable schemes. He has experience working with key statutory bodies and the heritage lobby, and has daily dealings with the Heritage Lottery Fund and English Heritage (he is an advisor to both bodies), local planning authorities, and Conservation Officers. He has a strong technical bias and expertise in various conservation issues, fulfilling the role of stonework expert within his company. He is also skilled at writing conservation management plans. With a lifelong interest in railway history, Neil Cossons was Curator of the Great Western Railway Museum, Swindon in the early sixties, Director of the Science Museum (including the National Railway Museum, York) from 1986 to 2000, and Chairman of English Heritage, 2000 to 2007. He led the publication of “Power of Place”, the heritage sector’s proposals for the future of the historic environment, published in 2000. 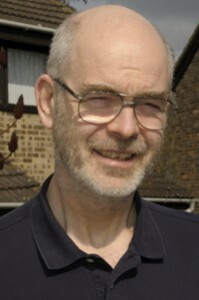 Ian Hay Davison chaired the Railway Heritage Committee from 1999 to 2004. During the course of his career as a chartered accountant he was the managing partner of Arthur Andersen & Co; Chief Executive of Lloyd’s of London and Chairman of Credit Lyonnais Capital Markets, The Independent, BHS and Mothercare, The National Mortgage Bank and, finally, the Dubai Financial Services Authority, from which he retired in 2004. Ptolemy Dean is a British architect, television presenter and the 19th Surveyor of the Fabric of Westminster Abbey. He specialises in historic preservation, as well as designing new buildings that are in keeping with their historic or natural settings. Ptolemy studied architecture first at the Bartlett School of Architecture at University College London, then continued with a post-graduate diploma in architecture from Edinburgh University. At Edinburgh, he studied under the late late-modernist Professor Isi Metzstein, building conservation engineer and writer Ted Ruddock, and design critic Mike Duriez. Born 1935 Surrey. Epsom College and Clare College Cambridge. Degree in Law. Lt. Commander RNR. 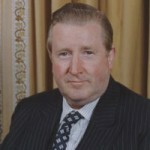 Executive in BP until 1991. Traveller and writer mainly of books on railway history. Richard Faulkner returned to the Advisory Panel following the change of government, having stood down from it on becoming a minister with responsibilities for transport in the government whips’ office in the House of Lords in 2009. He was previously Chair of the Railway Heritage Committee, a trustee of the National Museum for Science and Industry, Vice-President of Transport 2000, and treasurer of the parliamentary all-party railways group. He was a deputy speaker in the House of Lords, and spoke extensively on transport and environmental issues. Prior to joining the House in 1999 he was for 20 years an adviser to the British Railways Board. Other positions include honorary fellowships at Worcester College Oxford, and the University of Worcester. He has resumed the Presidency of the Cotswold Line Promotion Group, and membership of First Great Western Trains Advisory Group. Christopher Fildes OBE D Litt is a financial columnist, author and broadcaster of many years’ standing, a writer on railways and a member of the Railway Heritage Committee. His railway correspondent, I K Gricer, features in The Spectator. MA, MBA, C.Eng., FCILT, FIRO Robin worked in the engineering industry, mainly overseas, before joining Railtrack in 1997 as Director, Freight. He later became Director of the London North Eastern, Anglia and Southern Regions. He joined the main Board of Network Rail in 2008 and was Managing Director, Network Operations from 2011-15. His other responsibilities included the direct management of the 17 Major Stations, the National Stations Improvement programme, membership of the British Transport Police Authority, operation of HS1 and delivering rail transport for the 2012 Olympics. He is also a Board Member of the Romney, Hythe & Dymchurch Railway. 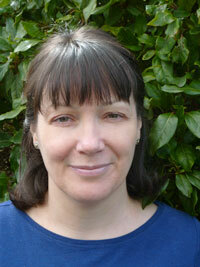 Ann Glen comes from a family of civil and mechanical engineers with links to railways. She is a graduate of Glasgow and Strathclyde Universities, a Fellow of the Royal Scottish Geographical Society and by profession a geographer and economic historian. Her career has covered teaching, lecturing and research. The Fellowship was conferred for her contribution to geographical education and for assistance to the RSGS over many years. With an interest in transport history, especially relating to railways, she is the co-author of several books, notably on the Caledonian and Great North of Scotland Railways and contributes to periodicals on transport themes. Other publications have been ‘The Cairngorm Gateway’ (Scottish Cultural Press, 2003), ‘Airdrie-Bathgate Rail Link’ (2010), and ‘The Waverley Route, Its Heritage and Revival’ (2015) that also marked the opening of the Borders Railway. From childhood, a fascination with railways began and this has continued in organising commemorative events for historic Scottish lines and in support for heritage railways. Now active in local government on a Community Council in North Lanarkshire, Ann has served on the Local Government Boundary Commission for Scotland, on the Rail Passengers Committee Scotland, and represents Strathclyde on the Scottish Association for Public Transport. She is a ‘hands on’ station adopter in a programme that seeks to make railway stations and their surroundings more attractive to passengers and also environmentally friendly. MA, FCIT, FIRO Career railwayman who joined British Rail in 1965 and retired as Chief Executive of Virgin Trains in 2004. Wide range of posts across Britain including General Manager, Scotland, where he led the new ScotRail brand and upgraded the large heritage stations. As Managing Director, Network SouthEast he united the London commuter services into a single brand and accelerated the upgrading of the heritage stations. As Managing Director, InterCity he continued the upgrading of the stations prior to privatisation. Appointed Chief Executive, English Heritage 1995-6 before returning to the rail industry as Chief Executive Officer, Virgin Trains. Chairman, Railway Forum, Non-Executive Director, Network Rail 2005-10 and joint author of independent DfT review into ‘Better Rail Stations’ 2009. Chris studied Modern History at Oriel College Oxford and is a Fellow of the Chartered Institute of Logistics and Transport and also the Institution of Railway Operators. Graduated with a law degree from the University of Exeter in 1964, qualified as a solicitor in 1967 and articled to Jaques & Co in Gray’s Inn. He became a partner in 1972 and so remained until retirement from the firm (by then Eversheds) in 1996. After being the President of Holborn Law Society in 1983/4, he was a member of the Council of the Law Society between 1985 and 1997, and between 1991 and 1997 was appointed by the Lord Chancellor and Lord Advocate as a member of the Council on Tribunals. Between 1997 and 2007 he was a Traffic Commissioner, a statutory regulator of the bus and coach (PSV) and heavy goods (HGV) industries, in the Western Traffic Area and the South Eastern & Metropolitan Traffic Area respectively. Following a period as a member of the Transport Users Con sultative Committee for London, commencing in 1981, he was appointed as a Deputy Chairman of its successor statutory body, the London Regional Passengers Committee, between 19 85 and 1992. He has been a Non-Executive Director of Porterbrook Leasing Co Ltd and Chairman of its Safety Committee. Between 1998 and 2004 he was the Chairman of the Railway Study Association and he is currently a member of the First Great Western Advisory Board. Chris Heaps has published four books about railways, and has been a regular contributor to transport magazines and books including “The Inter-City Story”. Stanley Hurn is a retired international banker with a lifetime interest in railways and architecture. He spent almost forty years working in the City of London, most recently as a Director of HSBC Investment Bank (formerly known as Samuel Montagu & Co). During the course of his career he has travelled widely and has given seminars on international lending in financial centres around the world. In 1992 he published a book on ‘big ticket’ international lending entitled “Syndicated Loans – A Handbook for Banker and Borrower” and has written extensively in banking and financial journals. He is a Freeman of the City of London and a Liveryman and Court Member of The Worshipful Company of International Bankers. His interest in railways comes from his family background – his father was a lifetime railwayman. In 1989 he bought Gunton Railway Station in Norfolk, then in dilapidated condition, and has restored and renovated it to a high standard receiving four separate conservation awards on the way including, in 2009, a National Railway Heritage Award (The First Group Craft Skills Award). JOHN A IVES Dip Arch RIBA AABC a Conservation Accredited Architect. John trained at Leeds School of Architecture before joining the British Rail’s Architect’s office in York and worked in that office through its various iterations until privatisation in 1994. He worked on many of the former Eastern Region’s building stock particularly the main “InterCity” stations and was the Architect to the East Coast Electrification team dealing with the various planning authorities and the Royal Fine Art Commission. At privatisation John was leading the York office. Following privatisation John was a Partner and then a Director of the York based Architect’s practice of PPIY Limited. The practice continued to carry out railway related work for both the “Big” railway (for both Network Rail and the Train Operating Companies) and for the Heritage Railways. John is a Judge and Adjudicator for the National Railway Heritage Awards, a member of the York Civic Trust Planning Team and Chair of the City of York Conservation Areas Advisory Panel and until 2018 was a Monitor for the Heritage Lottery Fund. John is a working member of the North Yorkshire Moors Railway involved with restoring and preserving their historic building stock. Simon Jenkins is a journalist and author. He writes a column twice weekly for the Guardian and weekly for the Evening Standard. 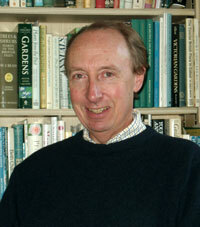 He has served as Chair of the National Trust since November 2008. Previously he wrote columns for the Sunday Times and Times, the latter of which newspaper he edited. His career began on Country Life magazine and continued on the Times Educational Supplement, the Economist (political editor) and the Sunday Times (books editor). He served on the Boards of British Rail and London Transport in the 1980s and was Deputy Chairman of English Heritage and a Millennium Commissioner. He was Journalist of the Year in 1988 and Columnist of the Year in 1993. His books include works on the press, politics, and architecture, including “England’s Thousand Best Churches” (1999), “England’s Thousand Best Houses” (2003), and “Thatcher & Sons” (2006). Most recently, “Wales: Churches, Houses, Castles” was published in December 2008 by Penguin. Chris Leah retired from the Board of Network Rail in 2004 after having completed 38 years in the railway industry. He was previously Board Member for Railtrack plc and a Regional Director of Regional Railways, both in North West England and Scotland. 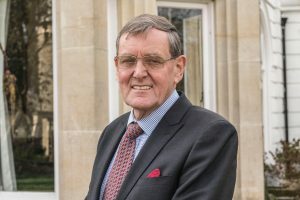 Since his retirement from the industry he has taken on the position of Operations and Safety Director of the Ffestiniog and Welsh Highland Railways and has also become Chairman of the Board of Trustees at Bressingham Gardens and Steam Museum at Diss, in Norfolk. He was a founding director of the Institution of Railway Operators and is currently Vice-President. He is also Past President of the Railway Study Association. CBE Went to Merchant Taylors’ School. Enlisted in the Army in 1964 and was subsequently commissioned into Royal Corps of Transport. Transferred to Royal Army Ordnance Corps 1972 and finally to Royal Logistic Corps in 1993. Filled a wide variety of logistic and military diplomatic appointments. Retired from Army in 2000 in rank of Major General, last appointment was Director General Defence Supply Chain. From 2001 to 2006 he was Director General of the Railway Forum, the industry-wide think tank and lobby group. He has a lifelong interest in railways. A particular interest has been to champion the railways’ sustainable development credentials and he believes that intelligent use of Britain’s great railway heritage can play a major part in this. BArch, MCD, RIBA Gained first class honours degree and Reilly Gold Medal in architecture at Liverpool University in 1962. Followed by a post-graduate degree in Civic Design obtained in 1963. Joined Andrew Renton Associates in 1969. Made an associate of the practice in 1971. Began working in the City of London and Westminster on commercial buildings which, at that time, were new to the practice. Made full Partner of the practice in 1980. The practice developed in the 1980s to 150 staff which involved major projects controlled by Geoff Mann including Waterloo, Battersea Power Station, British Airways Headquarters and BP Headquarters. At the end of the 1990s work involving listed buildings and renovation projects became a significant part of the practice. Apart from dealing with several buildings for Heron International, historic buildings such as County Hall on the South Bank, St Pancras Chambers, the Brighton Dome and the Coliseum for the ENO became important projects, three of which Geoff Mann controlled. County Hall and St Pancras are nearing completion. When not involved in the above, Geoff spends his time at his railway station at Saughtree in the Scottish Borders. He is also an Associate Director of Coventry City Football Club. Based in Edinburgh. Career civil servant 1968-2004, Scottish Office/Executive. Head of Transport 1998-2004 (including Planning 1998-2000). Previous policy areas covered include school education, bus privatisation and local transport, local authority housing, highland development and tourism, privatisation of Peterhead Harbour, doctors’ and dentists’ manpower planning, Private Secretary to Government Minister. Now a part-time transport consultant. Appointed 2006-10 by the Secretary of State for Transport (Whitehall) as decision-maker in statutory appeals by bus companies against the levels of reimbursement offered by (English) local authorities to compensate them for providing free concessionary fares to the over 60s. Appointed (Non-Councillor) member of the South East Scotland Transport Partnership (SESTran) 2006-date. Public member of Network Rail 2008-date. Member of Advisory Board, Edinburgh Napier University Transport Research Institute (TRi) 2005-date. Joined London North Eastern Railway from school in 1946 and spent 40 years in management posts in British Rail’s Scotland, Eastern, Great Western and Southern Regions. He was Director Freight, British Railways Board from 1976-78 and General Manager Eastern Region from 1978-86. He has been a member of the National Railway Museum Advisory Board since 1978 and is Chairman of the Friends of the National Railway Museum. He is also a trustee of York Civic Trust; Chairman, Fairfax House, Georgian Town House Museum and Vice-Chairman, York & Selby Branch, CPRE (Campaign to Protect Rural England). Following 13 years in the Department of the Environment, Oliver Pearcey worked for English Heritage for 21 years, latterly as Director of Conservation. He is now a freelance historic environment consultant, and also has intensive involvement in the charitable sector, as Chairman of the Kew Bridge Engines Trust and as a trustee of the Historic Chapels Trust, the Waltham Abbey Royal Gunpowder Mills Foundation, and the Country Houses Foundation among others. He is a member of the Institute of Historic Building Conservation. He has had a lifelong interest in post-mediaeval and industrial archaeology and has been involved in survey and excavation work in these areas, particularly at the Fulham Pottery in West London, a site world famous for John Dwight’s experimental work in the 17th century on stoneware and porcelain manufacture. CBE John Prideaux is Chairman of the Festiniog Railway Company, and also Chairman of the Ffestiniog Railway Trust, the charity that holds the controlling interest in The Ffestiniog and Welsh Highland Railways. The Festiniog Railway Company manages the railways, both directly and through subsidiaries such as Welsh Highland Railway Construction Limited. He has been a Trustee for 18 years, Chairman of the Trust since 1998, and Chairman of the Company since 2006. Most of John Prideaux’s working life has been spent in the railway industry. His reputation was established while Managing Director, InterCity from 1986 to 1992. During this period InterCity was transformed from a business losing 25% of turnover into the world’s only profitable main line passenger railway. At the same time InterCity electrified the line from London to Edinburgh. He completed his British Rail career by establishing the route for the Channel Tunnel Rail Link and by establishing St Pancras as the London terminal. Since leaving British Rail he has been Chairman of Angel Trains (the rolling stock Company that has purchased 65% of the new trains in Britain), a Director of the Docklands Light Railway, and Chairman of the Manchester Tram System. He advises on railway policy. He is also very interested in historic buildings (having restored a 17th century house and 15 historic farm buildings over the last 10 years), in architecture and design, and in transport economics and policy. CBE Dr Reed retired in 2009 from his post as the first Chief Executive of Transport Scotland, the Scottish Government agency responsible for trunk roads and railways north of the border. From 1997 to 2005 he was Director General of Strathclyde Passenger Transport Executive, following previous appointments with Strathclyde Regional Council and the then Greater Glasgow Passenger Transport Executive. He has served as a member of the Advisory Committee of the Rail Safety & Standards Board and is a former Deputy Chairman of the Railway Heritage Committee. He is currently an adviser to Virgin Trains and a Council Member of the Institution of Engineers and Shipbuilders in Scotland, and is a Fellow of the Chartered Institute of Logistics & Transport and of the Chartered Institution of Highways & Transportation. BA (Oxon) Simon was educated at Tonbridge School and Oriel College, Oxford. In his first job he was Assistant to Barrie Pitt, Editor of Purnell’s partwork History of the Second World War. Later he was Executive Editor of the History of the 20th Century working under J M Roberts as General Editor and A J P Taylor as Editor-in-Chief. After a short stint on The Observer he moved to Time-Life Books where he was a staff writer and later Deputy Editor of The British Empire, a partwork history published jointly with BBC TV. Transferring to books, he was Deputy Editor of The World’s Wild Places and The Great Cities series. In 1979 he founded Sheldrake Press, publishers of illustrated non-fiction specializing in history, travel, architecture and design (www.sheldrakepress.co.uk). Among their titles is The Railway Heritage of Britain by Gordon Biddle and O S Nock. This official gazetteer of listed railway structures was commissioned on behalf of the British Railways Board by Bernard Kaukas, Director – Environment. Simon Rigge is the author of War in the Outposts in the World War II series (Time-Life Books, 1980) and many articles on 20th century history. He is the Editor of The Victorian House Book by Robin Guild, the Wild Guides series under the general editorship of Douglas Botting and many other works of history. Behind many of his publishing decisions lies a belief in environmental conservation and good architectural detail. Martin Robertson is an architectural historian who has worked mainly for the government historic buildings service, concerned with the survey and aftercare of listed buildings. This involved much contact with the buildings and structures of the railways in England and Wales, both selecting them for listing and in encouraging British Rail to look after its historic structures more sympathetically than it had been doing. This soon developed into a special interest and he became the principal source of advice on railways for English Heritage from 1984-93. Since 1993 he has been a self-employed consultant and his work has included a survey of railway building types for English Heritage, checking that all the important areas had been properly covered by the listings. He was one of the authors of “The Railway Heritage of Britain” (1983) and one of the Editorial Advisors to “The Oxford Companion to British Historic Railway Buildings” (2003). Born 1951. Originally from Lancashire, Paul trained as an architect in London and is a past Lethaby Scholar with the Society for the Protection of Ancient Buildings. He has spent a life working with historic buildings including being the Project Director of Brunel’s original Bristol Station between 1980 and 1986 during which the 150th anniversary celebrations were held for the founding of the GWR. Paul has been a Museum Director and Head of Tourism in Norwich and Bath. He was a founder of the Vivat Trust and a trustee of Clevedon Pier. Paul is a Director of McCurdy & Co who built the replica of Shakespeare’s Globe Theatre in London and which specialises in the repair of historic timber structures. He is Vice-Chair of the National Heritage Training Group and Vice-President of the European Spas Association. Paul lives in Corsham, Wiltshire where he is Vice-Chairman of the local rugby club and a trustee of Bath Rugby Club. Educated at Christ’s Hospital and Pembroke College Oxford, Theo joined British Rail in 1970. Theo worked closely with the Railway Heritage Trust in the 1980s, as Assistant General Manager Eastern Region, and in the early 1990s, as Director South Wales and West, facilitating a number of early joint schemes with the Trust. As Commercial and then Managing Director of First Great Eastern and, later, Projects Director at National Express East Anglia, Theo became Chairman of Renaissance Southend, one of the Urban Regeneration Companies, from 2006 to 2010. A notable regeneration scheme achieved there was the seafront revamp named City Beach, evolved with a wide range of partners, and still spawning investment. Now retired, Theo is a judge for the National Railway Heritage Awards. He is also a Governor of Prospects Advanced Technology College based in South Essex, the first new further education college for over 20 years and also a recent entrant into the provision of rail based apprenticeships. Jerry Swift FPWI MBIFM was, until 2014, Head of Community Rail at Network Rail, a post he occupied (along with a period as Head of Corporate Responsibility) for some 10 years. Working with the Trust, community rail partnerships and the railway heritage sector, Jerry has been involved in a number of projects including work with the listing bodies on signal boxes and the subsequent history project being run by the Friends of the National Railway Museum, both of which are supported by the Trust. He has been an active champion within Network Rail of alternative new uses for historic railway property and has supported some of the more recent high-profile schemes that have seen a number of heritage railways moving into new territory, such as the extension of the Swanage Railway to Worgret Junction, the return of the Bluebell to East Grinstead, the return of the North Yorkshire Moors Railway to Whitby and the subsequent construction by the company of Platform 2, and the return of the Spa Valley Railway to Eridge. Jerry was a member of the Railway Heritage Committee and the Railway Heritage Designation Advisory Board until his departure from Network Rail. He remains on the RHDAB’s forum. Dip Arch RIBA, FRSA Having retired from Network Rail in November 2013, Robert Thornton’s architectural career spanned nearly forty years in the railway industry. This commenced in 1974 on the Western Region of British Rail where he became project architect for a wide range of buildings including the restoration of the former Royal Waiting rooms at Paddington Station which nurtured a growing interest in the integration of modern operations into a historic context. He went on to become the Project architect for the early stages of the redevelopment of Kings Cross Railway Lands and Station and, with Union Railways, St Pancras. Later, in Railtrack and Network Rail, he took on the responsibility for the Masterplan designs for all the major stations, during which time he developed design and heritage guidance in collaboration with English Heritage, Cadw and Historic Scotland and produced the first conservation and design management plan for Paddington Station. 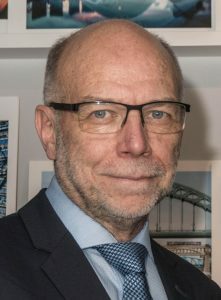 In 2007 he became Head of Station Design for Network Rail (later Principal Architect) where, whilst still actively engaged in projects of all scales and sizes – particularly those with an important historic context, he turned his attention to the further development of technical standards and guidance related to aspects of operational building design. These have included such topics as sustainability, safety, wayfinding, materials specifications and over-arching design guidance such as Network Rail’s web based, all embracing, ‘Guide to Station Planning and Design’. Peter Trewin is a life-long railwayman, having worked at all levels in the industry, latterly as Secretary of the British Railways Board. He was also Secretary to the Strategic Rail Authority and BRB (Residuary) Ltd, retiring when that company was abolished in September 2013. He was responsible for the BRB’s archive and was a member of the Railway Heritage Committee from its inception, following privatisation, up until 2006. Adam Wilkinson has been Director of Edinburgh World Heritage (EWH) since April 2008. He is responsible for providing executive leadership and overall management of EWH, its staff and other organisational and financial resources, and for developing EWH’s national and international networks and partnerships. He holds an MA in Medieval History and Russian Language and an MSc in Historic Conservation. He brings a broad knowledge of UK conservation policy and architectural history, through his previous roles as Secretary of the campaigning charity SAVE Britain’s Heritage and its sister organisation SAVE Europe’s Heritage. Prior to this he worked for a short stint in Paris for UNESCO’s Division of Cultural Heritage. Internationally, Adam supports a range of other historic cities in considering the management of their heritage and communities. Malcolm joined the British Railways Board Chief Architect’s Department Western Region office in 1979, later working in Network South East, Railtrack and Network Rail on a variety of historic railway buildings. He joined the Railway Heritage Trust as Company Secretary in 2008, retiring from the post at the very end of 2017, but remains both a Committee Member and judge for the National Railway Heritage Awards. Sir William (Bill) McAlpine was the Chairman of the Railway Heritage Trust, from its formation in 1985 until his death in early 2018. Sir William was the great-grandson of Sir Robert McAlpine, who founded the contracting company that bears his name to this day. He spent his working career, apart from National Service, in that company, starting as an apprentice fitter, and spending many years as a Director, with particular responsibility for Scotland and the North East of England. Sir William had a life-long interest in railways, and one of Britain’s most interesting private railways is in the grounds of his home. He is also well-known for saving the locomotive ‘Flying Scotsman’ which had ended up stranded in America in the early 1970s: he repatriated it to the UK, overhauled it, and ran it on the main line for 23 years. Indeed, only the London & North Eastern railway owned it longer than he did, and then only by a couple of years! He was also heavily involved in other locomotives and carriages, and retained a large private collection. Sir William served on both the Southern and the Great Western Advisory Boards of British Rail, was the Chairman of both the Dartmouth Steam Railway and River Boat Company and the Romney, Hythe & Dymchurch Light Railway. He was President of the Transport Trust, and was involved with many other preservation organisations. Sir William’s knowledge of the railway industry, of buildings and civil engineering, and his wide range of contacts, have been invaluable to the Trust over the decades. He was in at the start of the Railway Heritage Trust in 1985, and led the enterprise, with his own special brand of enthusiasm, skill and dedication, for 33 years. Under his leadership there has been nationwide recognition and acknowledgement of the unique place in our society of railway architecture. He helped bring a sense of purpose to the restoration and reuse of the most significant railway buildings and their interiors, as well as the revelation of architectural treasures within the railway estate that otherwise would have been lost. He championed initiatives, lobbied for support, encouraged diverse and effective participation from influential people, and used his own individual charm and wellbeing to supplement it all. We are fortunate to have had such a Chairman, and for so long. He is greatly missed.